Barcode scanners can improve the shipping, receiving, inventory and sales processes of nearly any business or organization. By allowing items to be indexed, categorized, labeled and processed on-the-go, businesses can save time and money on operating costs when they streamline their business with a barcode scanner and labeling system. There are many types of barcode scanning equipment available including laser scanners, CCD readers, pen-type scanners, camera-based readers and more. The omnidirectional barcode scanner, however, is probably the most universal and useful across businesses and industries. 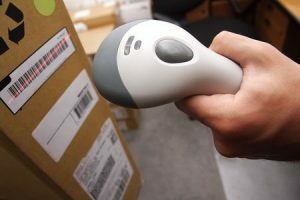 An omnidirectional barcode scanner projects multiple beams at varied directions to ensure that at least one of the beams can scan across the entire symbol regardless of orientation. How to choose which of the several popular barcode scanners is best for you is easier when you have the right strategic partner. At Tri-State Business Systems, we have the barcode scanners, labeling equipment, RFID scanner equipment, and supplies to organize any business process. We have decades of experience providing businesses with the labeling systems they need to run smooth and efficient operations, and many fortune 1000 and fortune 500 companies today rely on us for our expertise. Whether you are looking for a few barcode scanners to replace broken or outdated models or need a customized turnkey labeling system designed for you and your business, we can help. Not sure what you need? If you need help determining if a barcode or RFID scanner is best for your business, our friendly and knowledgeable team will be happy to help you decide. 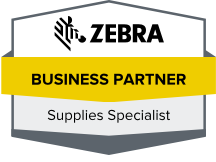 We gladly work with businesses in Bridgewater, Piscataway Township, Edison, New Brunswick, Franklin Township and the neighboring areas, so contact us today for more details about any of our products or services or to request a quote for barcode scanners, an RFID scanner, ribbons, software and more.